A low carb high protein diet, such as the Atkins diet, is one of the most widely promoted weight loss programs due of its effectiveness. Through these programs, about 30% to 50% of the calories ingested are from lean proteins. Even though low carb diets allow you to lose weight fast, it’s recommended to only use them for short periods of time as they’re considered rather unhealthy in the long run. This is because the majority of weight loss comes from the loss of precious muscle tissue, not fat. For this reason, eating lots of protein is crucial to minimize the loss of muscle tissue. Muscle tissue is essential for proper metabolic function – it burns calories even when you’re not moving. So, it’s possible to regain the weight once you stop the diet. 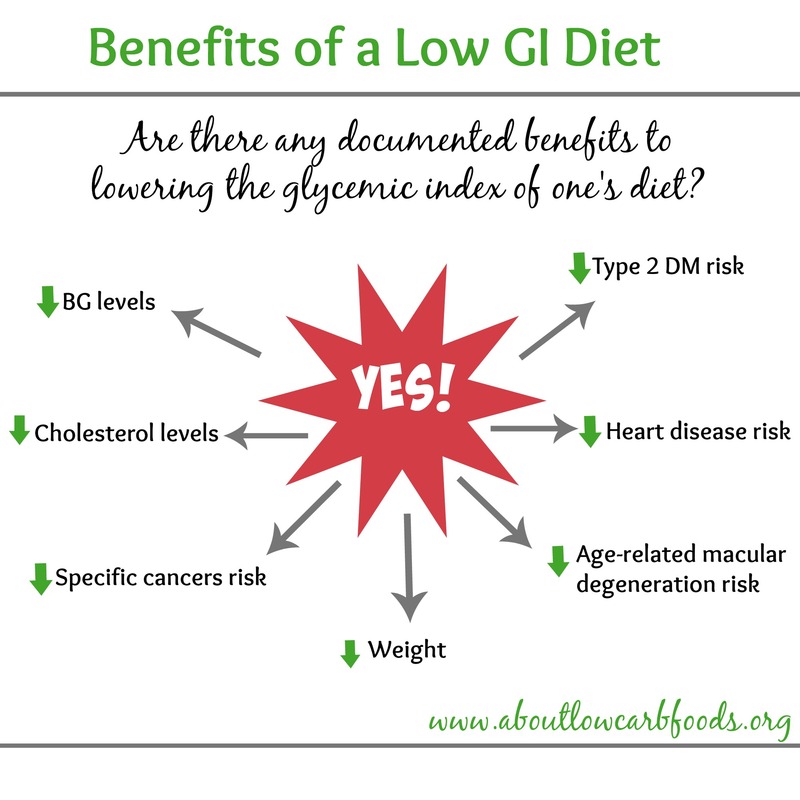 Additionally, the amount of fruits and vegetables allowed in most low carbohydrate diets is below the recommended daily allowance, while the high intake of fats, especially saturated fat, can cause serious heart problems with prolonged use. 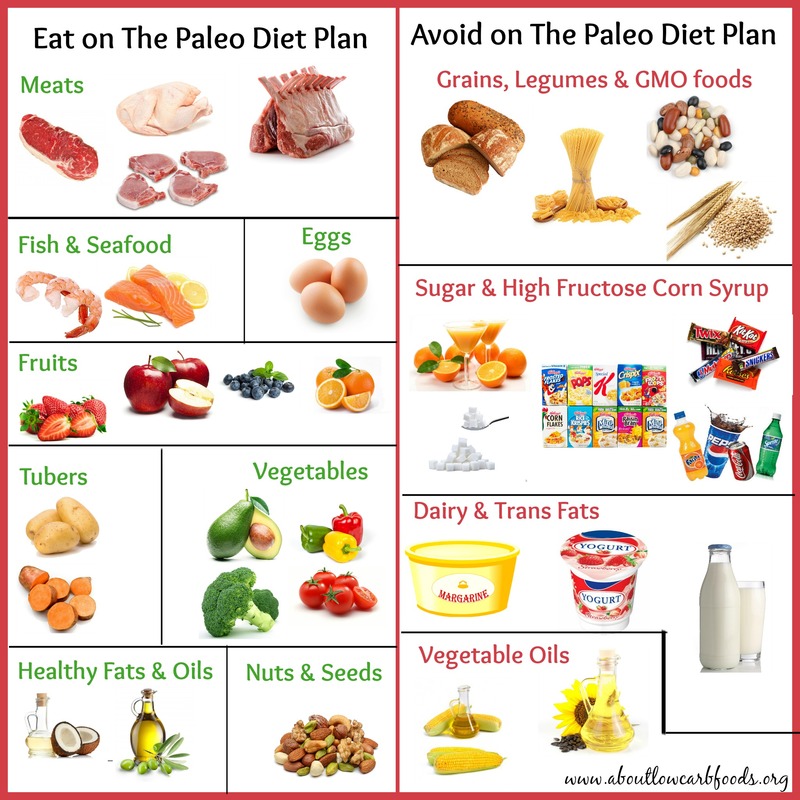 So, before you begin a low carb high protein diet for weight loss, make sure to check with your doctor or a nutritionist to make sure you get enough fruits and vegetables, and lean protein foods. 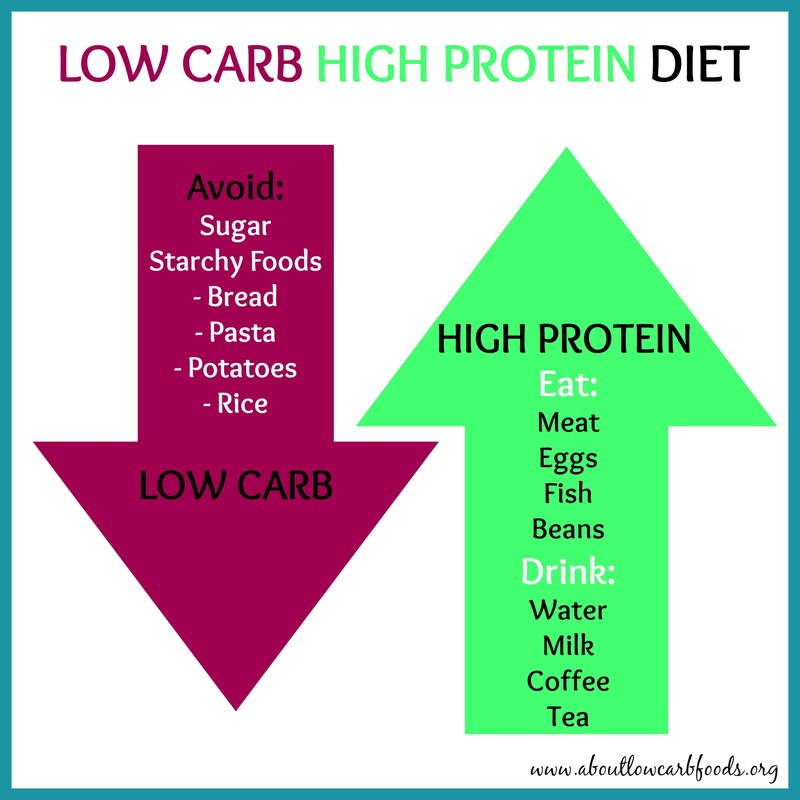 How Does A Low Carb High Protein Diet Work? Generally, your body burns carbohydrates for energy and for it to function properly. However, when you cut your daily carbohydrate intake drastically (also known as low-carbing), your body will eventually undergo a metabolic process called ketosis. This is when your body starts to produce less insulin and burns protein and fat for fuel/energy. When the fat stores turn into the primary energy source, this results in significant weight loss. Protein shakes, milk and dairy products are also allowed, including some low carb fruits like berries and melon. Non-starchy green vegetables such as spinach, broccoli, celery, asparagus, zucchini, and green beans, and foods rich in fats such as butter, pure lard and vegetable oils are also included in a low carb high protein diet. Although a low carb high protein diet leads to significant weight loss, repeated and long-term use can also lead to muscle breakdown, irritability, light-headedness, headaches, nausea, bad breath, dehydration, constipation, and other gastrointestinal problems. The higher amount of saturated fats and cholesterol in the diet also increases the risk of developing heart disease and possibly, cancer. So, before you begin a low carb diet, you need to weigh the benefits of weight loss versus the risks of long-term use. If you have kidney problems or kidney disease, eating foods rich in protein for a long time puts additional strain on your kidneys. This could cause renal complications. High protein foods such as fatty meats, some dairy products like butter, and other foods that are high in fat can cause heart disease by negatively impacting your cholesterol profile – they can raise your cholesterol. However, recent studies show that people who undertake the Atkins diet had decreased LDL (bad cholesterol) levels. During the metabolic process of ketosis, the body produces substances known as ketone bodies. Ketones can cause decreased appetite, as well as nausea and fatigue. It’s also characterized by bad (acetone) breath. However, you can avoid this state by eating 100 grams of carbohydrates every day. Recent studies and research show that restricting your carbohydrate intake can lead to a shorter lifespan. According to this research, though a low carb high protein diet can reduce the amount of fats in your body and your food intake, it’s been linked to a reduction in the average lifespan – especially increase of cardiovascular deaths (not cancer deaths) – due to a lack of whole grains. 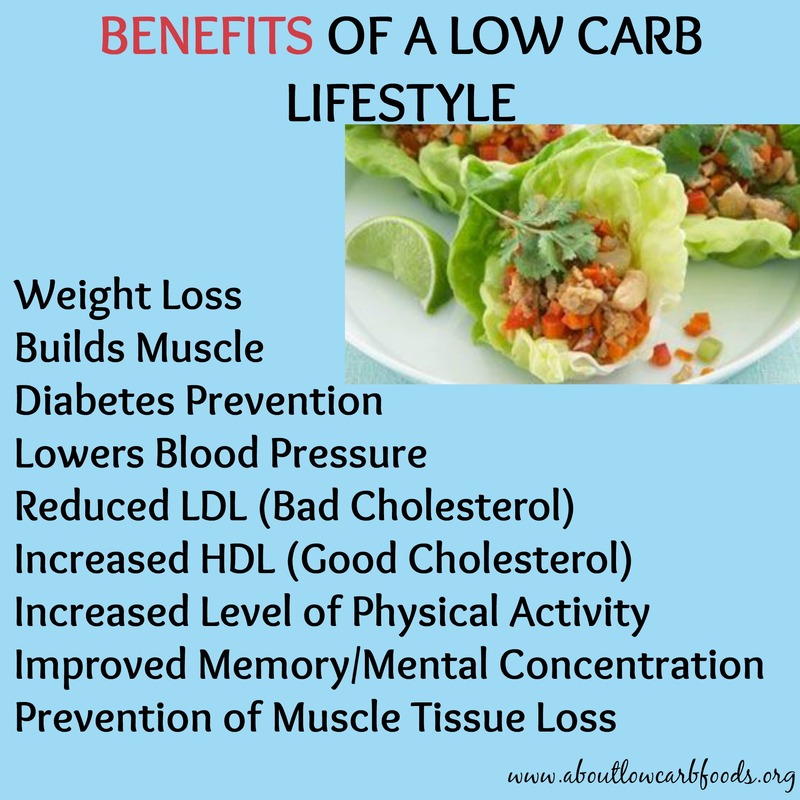 There is an advantage to a low carb high protein lifestyle – reduction in insulin resistance. Insulin resistance is quite common in people who have metabolic syndrome. Metabolic syndrome is characterized by increased blood pressure, a high blood sugar level, excess body fat around the waist and abnormal cholesterol levels. This cluster of conditions occurs together, increasing your risk of heart disease, stroke and diabetes. Some research indicates that restriction of carbohydrate intake has an important role in maintaining low insulin resistance.